Enoughrecords is a Portuguese netlabel. It promotes and distributes music from artists who agreed to release their work for free. 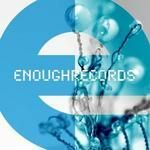 Enoughrecords is non genre specific, the releases range from laidback idm downtempo, to dark ambient industrial noise.